Richard Allen, Inc. believes in long-term skill development so that our team will continuously produce quality results for our clients. Ongoing training is paramount in our industry and we stay competitive by training our team members to perform at their highest ability. Richard Allen, Inc. recognizes high performance and encourages career growth within the company and believes in growing organically by moving professionals up the corporate ladder. Richard Allen, Inc. employees receive world-class learning opportunities through a proven system of hands on training and mentorship from leaders of the industry. We believe in helping our people reach their full potential. We specialize in team development with one on one coaching and create an environment with open communication to spark fast growth and advancement. Our leadership team optimizes each person’s strengths, while developing weaknesses for each team member on an individual basis. Richard Allen, Inc. offers internal growth and management training. We provide the opportunity to build a career within the company whether that involves growing in one of our existing branches domestically or abroad into different countries and territories, which can provide an extremely rewarding career path. 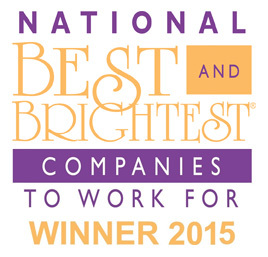 If you want to learn more about becoming part of the Richard Allen team, APPLY HERE! If you think you have what it takes to be a Richard Allen team member, APPLY HERE!